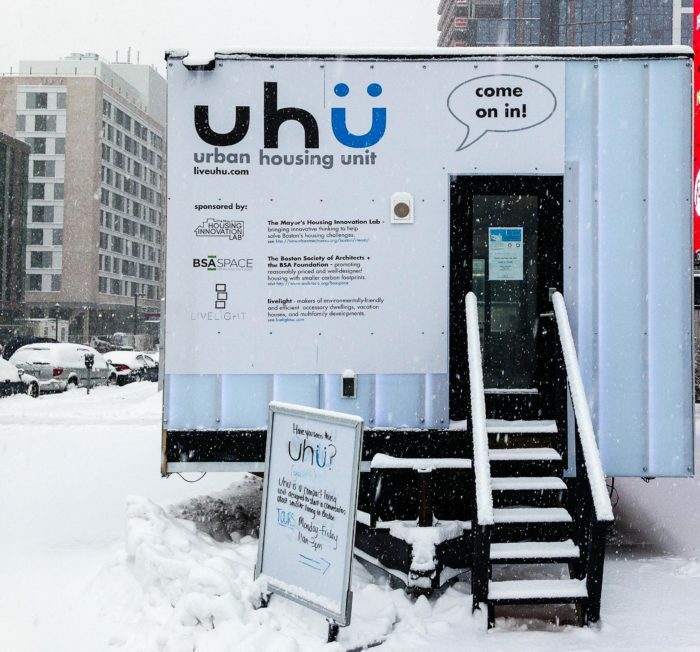 The uhü demonstration project on tour: The 385-square-foot modular housing unit, with one bathroom and one bedroom, has been parked at eight locations around Boston since last summer and visited by some 3,000 people. 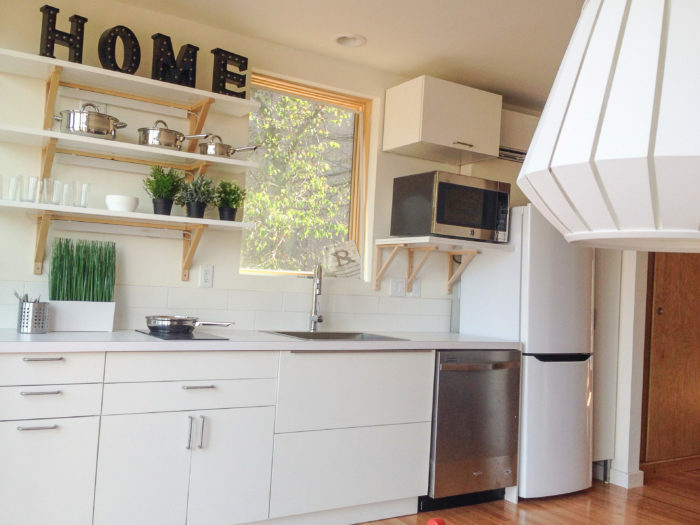 Image Credit: Live Light The kitchen houses a two-burner range, a full-size refrigerator, and plenty of storage for dishes and glassware. A table in the living area can be expanded to seat six for dinner. A bedroom alcove is sized to handle a queen-sized bed and a bedside table. A curtain closes for privacy. The prototype micro-apartment was made with translucent polycarbonate cladding, making it hard to miss at night. Production models could be finished in a more conventional material — fiber cement, for example. Seven units, including three studio apartments and four two-bedroom apartments, would be contained in a steel frame on the Roxbury property. The open central bays would be used for stairwells, circulation, and outdoor living areas. 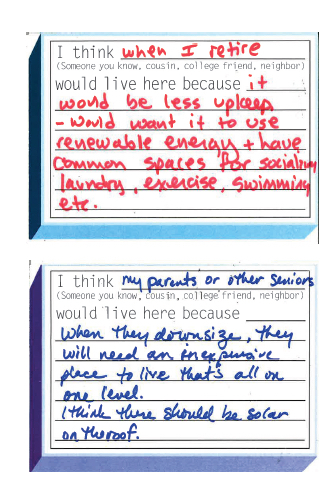 Some visitors filled out comment cards with their reaction to the small space. The cards became part of the One Room Mansion exhibit hosted by the Boston Society of Architects. 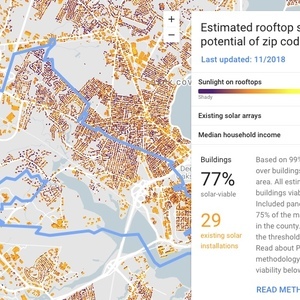 A Boston startup is proposing a new housing model designed to solve a fundamental problem with urban apartments — they’re too big. The company, Livelight, and architect Tamara Roy developed a model for very small modular apartments that can be racked in steel-framed exoskeletons on small infill lots, expanding housing opportunities for one- and two-person urban households. The project also had the backing of the Boston Society of Architects. Livelight founder Addison Godine said he was approached by the Mayor’s Housing Innovation Lab and asked to design a micro-apartment on wheels. He and Roy, then the incoming president of the Boston Society of Architects, rolled up their sleeves and developed a prototype called the Urban Housing Unit, or uhÃ¼, and submitted the design in a competition for development of a city-owned lot in Boston’s Roxbury neighborhood. 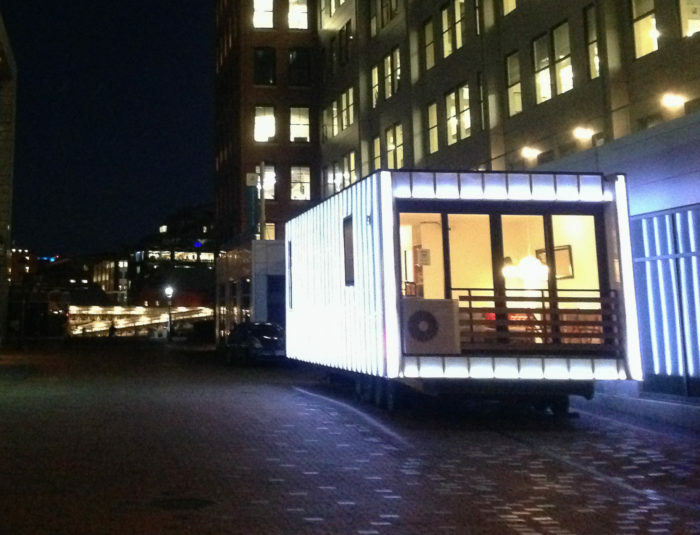 Their 385-square-foot prototype, built at a modular factory in Pennsylvania, was parked for its introductory exhibition at City Hall Plaza last August and has since been trucked to eight different sites around Boston. Thousands of people have taken the tour, and sometime this spring, the city is due to decide whether Godine can move forward with a proposal to rack seven units on the Roxbury property and put them on the market. 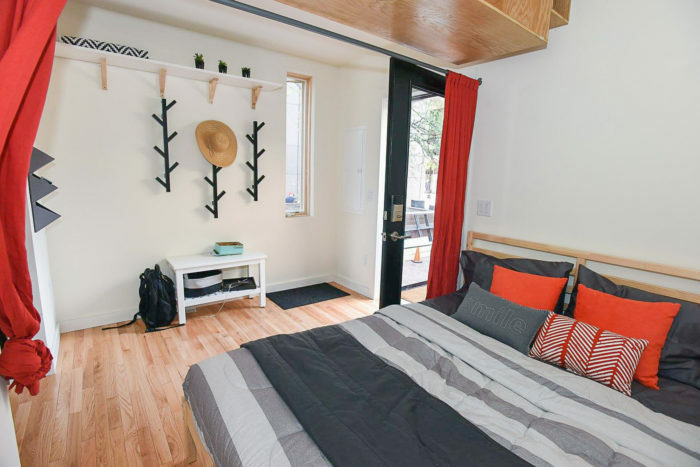 Boston is one of a number of cities looking at very small dwelling units as a way of making affordable housing more available (see “Cities Think Small to Ease the Housing Crunch” in the sidebar below). The city had been touring neighborhoods to talk about the potential of more compact housing and micro-apartments, Godine said, but more often than not the reaction was a blank stare. Staffers from the Innovation Lab tried marking the outline of a micro-apartment on a gym floor with blue painter’s tape, for example, in order to give prospective tenants an idea of what living in one would be like. It just wasn’t clicking. Once Roy knew she was in line to take over the Boston Society of Architects, she saw an opportunity to promote a favorite theme. She lined up a meeting with Godine, and they soon decided to join forces and respond to the request-for-proposal from the city. 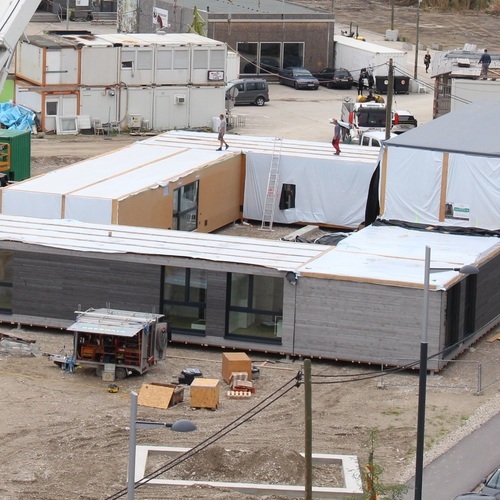 The pair decided modular made the most sense for the apartment prototype, and they contacted a number of factories before settling on PennKraft Building Systems in Pennsylvania. Once the uhÃ¼ was delivered, the tours began. What the 3,000 or so visitors saw was a long, boxy structure with a kitchen, a code-compliant bathroom, a sleeping alcove, a living/dining area that could seat six for dinner, and a variety of storage shelves and lockers — all in a package much better insulated and air-sealed than a typical city dwelling. A video narrated by Roy at the Livelight website runs through the basics. According to Godine, only 2% of those who toured the uhÃ¼ said it wasn’t for them or wouldn’t fit in their particular neighborhoods. 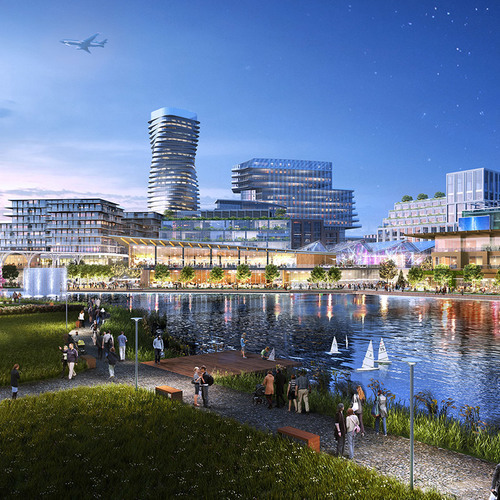 Others expressed “some range of bewilderment” about the project but not necessarily a negative view. 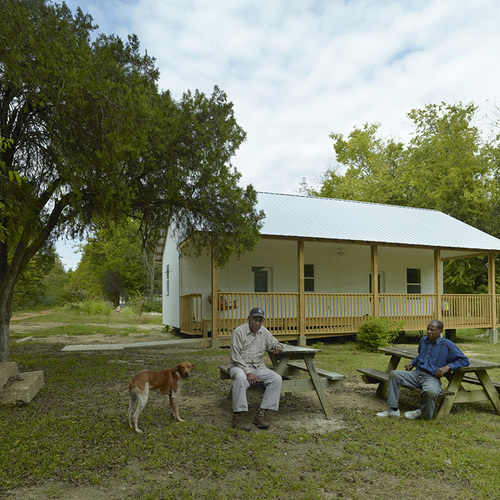 A number of visitors said they were familiar with the idea of micro-apartments because of television coverage of tiny houses. The uhÃ¼ is 13 feet 10 inches wide, 33 feet long, and 11 feet tall — something like half of a conventional single-wide manufactured home. Including the trailer, it weighs 20,000 pounds. Exterior walls are framed with 2x8s and insulated with R-31 fiberglass batts. Both the floor and the roof are framed with 12-inch I-joists and insulated with fiberglass. (The roof also has a layer of rigid foam insulation.) Godine estimated nominal R-values of 40 in the floor and between 50 and 55 in the roof. Windows are double-pane Marvin Integrity. Cladding for the prototype is a translucent polycarbonate material called Polygal, which allows the uhÃ¼ to glow at night. 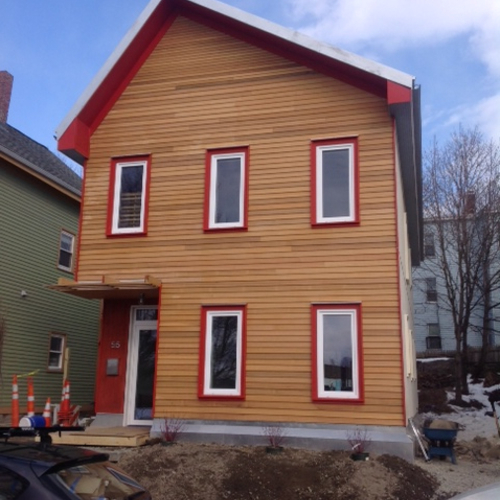 If it were ever to be put into production, Godine said, it could have siding more appropriate for an urban property — something like fiber cement. The uhÃ¼ is heated and cooled with a single-head Mitsubishi Hyper-Heat ductless minisplit with a rated capacity of 18,000 Btu. Godine said the unit is capable of producing heat with outside temperatures as low as -23°F. It also comes with a Nest thermostat, just so residents don’t squander the chance to save energy. The design also includes Intello, a membrane used for airtightness and vapor control. There was, however, no money in the budget for a blower-door test. It cost $85,000, including the trailer, all furniture, and all appliances. Godine would like to see the cost to drop to between $40,000 and $50,000. 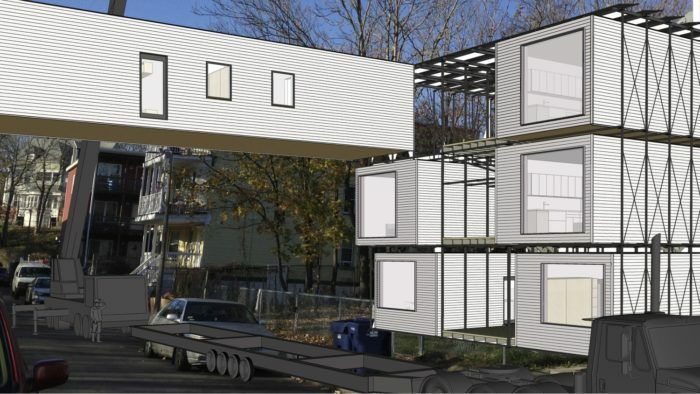 Godine’s plan, should he win the city’s OK, would be to stack a total of seven units in a three-story steel rack on the Roxbury lot (see the second to last image below) and put them up for sale. The studios would sell for $149,000 and the two-bedroom units — expanded versions of the prototypical uhÃ¼ 52 feet long and measuring 621 square feet — would sell for $199,000. One problem yet to be overcome is the city’s current minimum size requirement for dwellings. Studio apartments must be a minimum of 450 square feet; one-bedrooms must be 625 square feet. Another potential problem is public acceptance of a design that’s more contemporary than its surroundings. Godine said the Roxbury proposal recently was the subject of a public presentation in the neighborhood and got a “mixed” reaction. This seems like a viable concept, but for whatever reason, ideas like this never seem to go anywhere. The rack system is pretty interesting. Adding parking would be nice. I'd like to see details regarding utility hookups. But no money for a blower door test? Let's see. They say it is 350 sf for $85000 which is $243/sf. But the dimensions show that is actually 456.5 sf which means it is only $186/sf. And this does not include the all-in costs of shipping setting site work etc ad infinitum. This is not affordable housing solution. I have been working with modular industry for many years and this can be done better faster cheaper with existing systems. It is true that the smaller the unit the more it costs/sf. They are doing 220sf appdments in seattle and other cities This has other issues of course. local zoning regs all need to be changed to have a preface of the "intent" so builders and architects are free to find innovative solutions that may not meet written regulatory language. The price includes the trailer, appliances and furniture.